1 What’s the difference between 「は」 and 「が」? 3 Ok, so what does 「は」 mean? 4 So what does 「が」 mean then? Since this is my first post, I figured I would start from the very basics. While the word “basic” has a connotation of meaning “easy” (eg Visual Basic), this is not the case for Japanese. 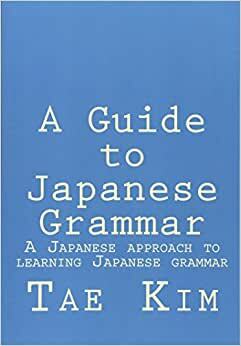 The most basic ideas in Japanese are the hardest to grasp because the fundamental differences between English and Japanese leaves out any way to actually express the idea in English. Unless you speak a similar language like Korean *eh hem*, you’re going to have to wrestle with a concept that doesn’t even exist in your native language. One such example is the idea of particles and especially the particles 「は」 and 「が」. What’s the difference between 「は」 and 「が」? I wish I had a nickel for every time I heard the question, “What is the difference between the 「は」 and 「が」 particle?” This question has successfully managed to baffle countless generations of people learning Japanese. This has been followed by countless number of equally confusing (and sometimes wrong) explanations involving a great deal of mumbo-jumbo such as contrast, emphasis, subordinate clauses, and voodoo magic. However, with my genius, I was able to provide a complete explanation in one small sentence. 「は」 and 「が」 have different meanings. Since 「は」 and 「が」 mean totally different things, the only thing we need to do in order to identify their differences is to fully understand what they actually mean and why they exist. The first thing we need to realize is that a Japanese sentence is not required to have a subject. You can just say, “Hit ball” and you’re good to go. So how do you know what the heck everybody is talking about? Well, there are several ways and they all involve making assumptions from context. For example, if I suddenly asked you, “Ate lunch?” you assume I’m asking if you ate lunch because I’m surely not talking about anyone else. Therefore, you answer, “Ate lunch.” Then I assume you are talking about yourself since I just asked you the question and so I now know that you ate lunch. However, if we happened to be talking about Alice when I asked you the question, you will likely assume that I’m asking if Alice ate lunch because that’s who we were talking about. Ok, so what does 「は」 mean? If we take a language like Japanese where the subject is so heavily based on context, we need to be able to identify a couple things. While making assumptions from context will work for simple question and answer sessions, anything more complicated will soon become a mess as everybody starts to lose track of who or what they’re talking about. Therefore, we need to be able to tell the listener when we want to change the current topic to say, “Hey, I’m going to talk about this now. So don’t assume I’m still talking about the old thing.” This is especially important when you strike up a new conversation and you need to tell the listener what you’re talking about. This is what the 「は」 particle does; it introduces a different topic from the current one. For that reason, it is also referred to as the ‘topic particle’. Me) 食べた？ – Did you eat? You) 食べた。 – I ate. Now, what if I wanted to ask you if Alice ate? Then I need to use the 「は」 particle to indicate that I’m talking about Alice. Otherwise, you would just assume I’m talking about you. Me) アリスは食べた？ – Did Alice eat? You) 食べた。 – She ate. Notice how once I establish Alice as the new topic, we can continue to assume that we are talking about her until someone changes the topic. So what does 「が」 mean then? Ok, so we can introduce a new topic using the 「は」 particle. But what if we don’t know what the topic is? What if I wanted to ask, “Who ate the chicken?” What I need is some kind of identifier because I don’t know who ate the chicken. If I used the 「は」 particle, the question would become, “Did who eat the chicken?” and that doesn’t make any sense because “who” is not an actual person. This is where the 「が」 particle comes into play. It is also referred to as the subject particle but I hate that name since it means something completely different in English grammar. Instead, I move to call it the identifier particle because it identifies something unknown. Me) 誰がチキンを食べた？ – Who ate the chicken? You) アリスが食べた。 – Alice [is the one who] ate it. Notice that the 「が」 particle is used twice because you need to identify who ate the chicken in the answer. You can’t say 「アリスは食べた。」 because we’re not talking about Alice. We’re trying to identify the unknown person that ate the chicken. Now, that I’ve clearly explained what 「は」 and 「が」 means, I hope this will finally clear up that question that has been haunting your mind. Remember, if you are talking about something new, use 「は」. If you are trying to identify something unknown, use 「が」. Simple, huh? Thanks, for the first time I finally feel like I understand this. I like your style of explaining. Very clear! Next PostNext Is there a subject in Japanese grammar?